Discussion in 'Tech Tips and Gear' started by dweaver2130, Nov 24, 2013. What is the general consensus of this argument? I enjoy the lightness of my 6mm pull cord when going through canyons with large drops. I also see the argument for carrying light 8mm rope to use as a pull cord and as a back-up incase something happens to your main rappel strand. I don't think there is consensus in the community on this one. Many will never recommend a small diameter pull cord, as it can't be used as a real rope for rescue, as a backup, etc., as you state. Others will argue that a pull cord is critical and a great tool, especially in skinny canyons with a lot of stemming required where the added weight/bulk can cause problems (experienced this - been there, done that). I figured as much, I am hoping to get another good discussion going, I have enjoyed the discussions as of late. Using the FiddleStick, it is quite helpful to have a lightweight pull cord. 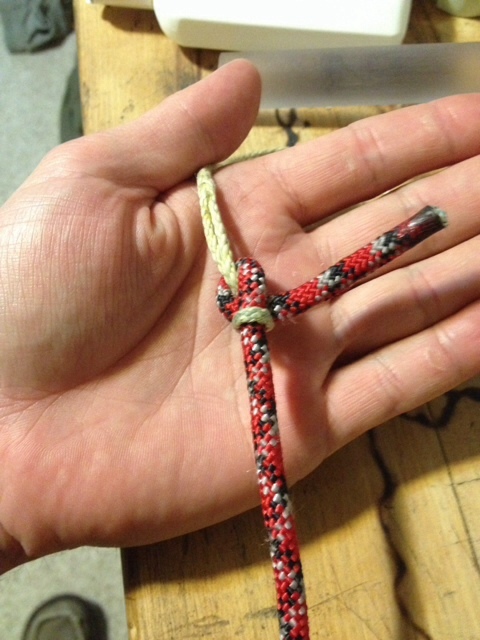 Many addicted FiddleStickers have gone to an ultralight spectra pull cord. I find myself rarely carrying a 6mm pull cord these days. Mainly used when the group is quite small, so carrying even a little extra rope is a significant burden. Best price on ultralight pull cord. I use 2.2 mm dyneema with a leader on the fiddlestick to get past edges. gajslk, hank moon and Deagol like this. I like it, great price. How does it throw/deploy, does it get caught from being bunched in a bag? Seems ~4 people pulling could break it (i.e. non fiddlestick difficult pull situtation), but in practice perhaps that would never occur, 1000lb? Bummer not in a 300' length. Good point. Dyneema seems fairly cut/abrasion resistant. However, I was thinking more of a lightweight cord that could also be used in situations for pulling rope, in addition to FiddleStick use. Something with a bit more diameter, say 2.5mm or 3mm? Thoughts? 2.2mm enough? I have 180' and it works fine for 200' drops if you use a cheap 5mm leader on the stick. In many cases, 20" of leader gets you past major lips and corners. Not always, but frequently. That way, you have piece of cheap replaceable cord taking most of the abuse. You could get a 1000' spool and split it with your buddies. How is it taking a knot out of the 2.2mm, any issues with certain knots or are the old standby's (Triple Fisherman's/EDK) still secure for matching this with say a 9mm rope? I second the thought by mountaineer on wondering about how well the 2.2 cord holds up on difficult (non-fiddle) pulls where you have several members assisting with the pulldown. I like the concept though, very light, cheap, and with a cheap leader you eliminate your cutting issue. 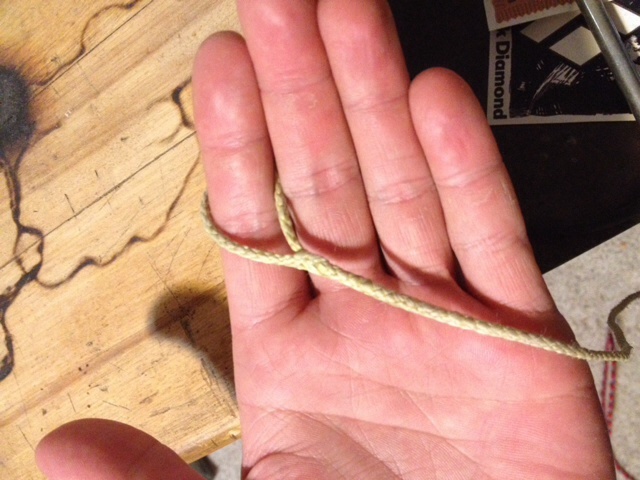 Don't use knots, put a Brummell splice in the end of the line and tie a becket bend with the leader. hank moon and Mountaineer like this. I like to say, you need a compelling reason to carry a pull cord. Just like you need a compelling reason to use a FiddleStick. 1. Class C canyons - rescue capability important in Class C, a place for a pull cord seems unlikely. 2. Close to the road - if you do not have to carry it a long way, just bring more real rope. 3. Beginners and/or sloppy canyoneers along - rescue capability needs to be maintained unless all participants are capable of self-rescue for real. 4. Abrasive/Sharp Rock - if the rock is known for cutting up ropes, then you need to bring more real ropes. A. Extra - bring a pull cord as an EXTRA length of rope, rather than as a substitute for a real rope: as your 4th length, not your 3rd length. B. For FiddleSticking - useful for reducing the FS pull cord weight on FS raps in the 100' to 200' length. (Super Pull Cord for raps longer). C. For Explorations - increases your capability for minimal weight, as a contingency. D. Small Group, long walk. E. Special circumstances, such as, only ONE long rappel. F. Adds speed: Some combo of above, but having one more pull cord can make leap frogging rappels more efficient (essentially, as the 4th length, rather than the 3rd length).